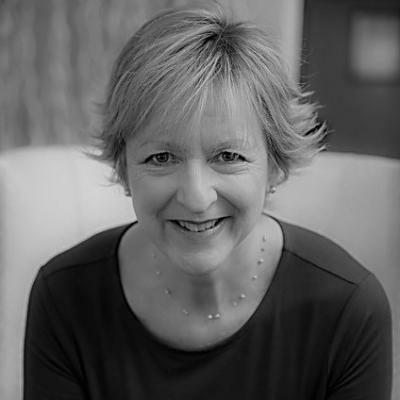 EXECUTIVE COACH | TRAINER & FACILITATOR: Laura Dewey has over 30 years of experience in leadership, growth, and development. Over the past nine years, Laura has coached all levels of leadership, from novice to C-Level, including CHRO, CFO, CNO, Physicians, Chief of Department, Chief of Staff, SVPs & VPs in a variety of industries. Laura creates sustainable results through developing the skills of self-leadership, understanding that the highest level of results in business can only be attained through the highest level of skill, partnered with an equal level of self-awareness. She assists her clients to lead with grounded executive presence, authenticity, courage, compassion & influence. Laura has a gift for experiential training, known for bringing a mix of lightness and gravitas to her in-person work. Leadership development, emotional intelligence, emotional self-mastery, self-leadership, executive presence, women in leadership, communication, relationship management, stress mitigation, conflict resolution, authentic leadership, intention, culture of accountability, executive self-care, high-level listening, confidence, multi-unit leadership, growth mindset, employee engagement, impeccable customer service, operations excellence, group facilitation, team coaching and highly experiential training. male-dominated industry, holding roles on many rungs of the leadership ladder along the way; from entry-level, through multi-unity leadership, and up to the director level. This wide variety of experience leaves her uniquely qualified to speak the language of whomever she is coaching or training. Laura holds a Bachelor’s Degree in Education from Northern Illinois University and both a Master’s Degree in Spiritual Psychology and Certification as a Soul-Centered Professional Coach from the University of Santa Monica. Laura is a member of the International Coach Federation, on the Board of the National Association of Women Business Owners, Orange County Chapter, and an annual contributor and coach to the Women’s Leadership Program at California State University Fullerton. A history of leader & executive promotion. 2018: Designed and delivered experiential training for leaders at Kaiser Vision Essentials; 4 groups, over 20 classes. 2018: Partnered with a single clinic to improve operational excellence. Increased sales by .50MM, employee engagement by 300%, and improved metrics notably across the board.